Last week, Andre Nogueira (PhD 2019) and Dr. Weslynne Ashton, associate professor at IIT Stuart School of Business, led a workshop at the National Council for Science and the Environment (NCSE) 2018 Conference in Washington DC. The goal of the workshop was to present and prototype a unique “innovation lenses playbook” being developed as part of the on-going collaborative research project: Designing Sustainable Systems Solutions, led by Dr. Carlos Teixeira, associate professor at IIT Institute of Design and Dr. Weslynne Ashton. The collaboration is supported by IIT’s Education and Research Initiative Fund (ERIF). The session was divided in two parts. The first part began with an introduction to the key concepts that underlie the playbook. Dr. Cornelia Flora, emeritus professor at Iowa State University, introduced the Community Capitals Framework. Dr. Marian Chertow, associate professor at Yale University, presented concepts and principles of industrial symbiosis. Dr. Weslynne Ashton ended the first part of the session presenting challenges in regenerating of urban infrastructure in post-industrial cities. Dr. Ashton used the “work-in-progress” at The Plant as reference of approach. The second part was facilitated by Andre Nogueira and relied on dynamic methods of collaboration and multi-stakeholder engagement to transform the knowledge and experience of the participants into assets for advancing sustainable practices. Sarah Coulter, acting director of Calumet Collaborative provided context around post-industrial urban environments. She introduced major challenges to urban regeneration in the Calumet region, particularly dealing with large swaths of vacant land and buildings, or brownfields. 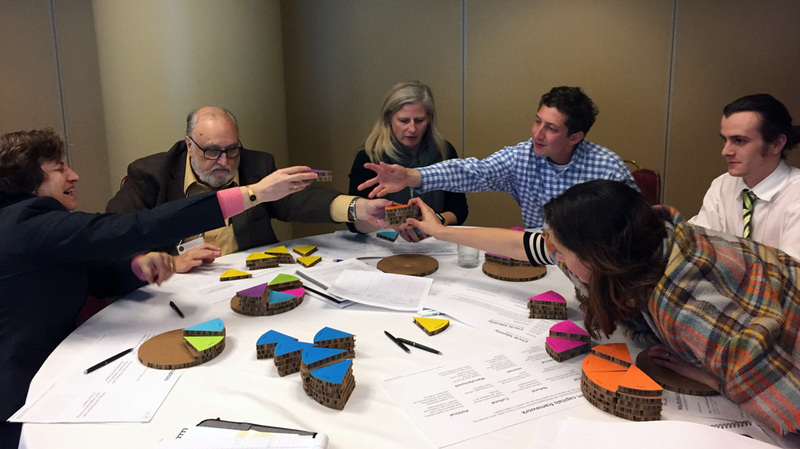 Participants explored how they could “infrastructure” interconnectivity between economic, social, and environmental knowledge for the design of sustainable systems solutions. 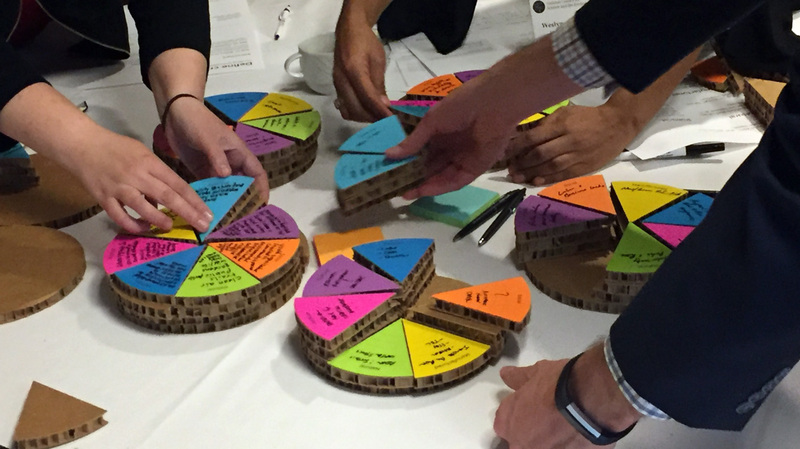 By applying some of the tools and frameworks that compose the “innovation lenses playbook,” participants learned about the value of the innovation lenses in expanding opportunities for innovation in collaborative decision-making. Participants will receive these tools and frameworks for feedback to be incorporated in the later iterations of the playbook. The NCSE advances informed environmental policy and decision-making through science, and specializes in programs that foster collaboration between the diverse institutions and individuals creating and using environmental knowledge. In 2018, NCSE focused its annual two-day conference on the science, business, and education of sustainable infrastructure, with a goal of building resilience in a changing world. Attendees included national and international scholars, business representatives and government officials.